Exceptional training for today’s world in dance. Through our experienced and dedicated faculty of dance professionals and international partners, develop well-rounded dance artists through high-quality training. Embrace diverse cultures as a source of inspiration for creativity and human self-expression in dance. Create lifelong ambassadors for the art of dance. 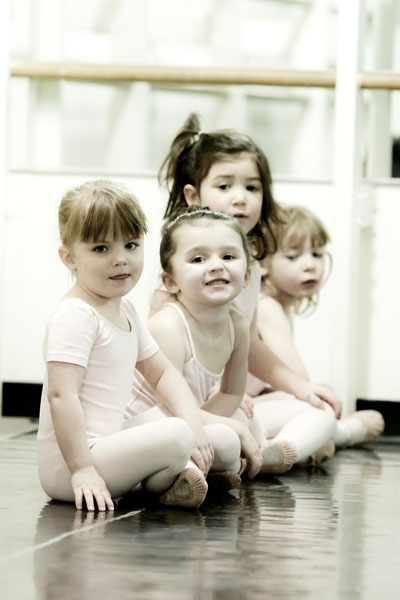 An important component of The Ruth Page Center for the Arts is the Ruth Page School of Dance. The School provides the highest level of training and expertise and is one of the country’s finest dance education centers, teaching and mentoring hundreds of young and aspiring students annually. Led by Director Victor Alexander since 2013, and through an experienced and dedicated faculty of dance professionals and international partners, the Ruth Page School of Dance develops well-rounded dance artists through high-quality training. The School also embraces diverse cultures as a source of inspiration for creativity and human self-expression in dance, creating lifelong ambassadors for the art of dance. By providing the highest level of training and personal development to each student, the School’s philosophy is all students will benefit from the discipline, creative thinking and emotional expressiveness that dance provides. Through the Young Dancer’s Training Program, the School also strives to prepare young dancers for the demands of today’s world in dance. NEW SCHOLARSHIP OPPORTUNITY: The Ruth Page School of Dance is proud to offer scholarships to develop talent and encourage exploration of dance. Beginning with the 2017-2018 academic year, the School proudly announces tuition-free mentored training for aspiring male dancers of all levels, ages 7-17, through the Victor Alexander Young Men’s Scholarship Program. The program for boys includes special classes in strength, agility, technique and artistry, all within a supportive environment centered on camaraderie and discipline. To be considered for this scholarship program, contact Victor Alexander at victor@ruthpage.org or 312-337-6543. With a strong commitment to international partners and collaborations, the Ruth Page School of Dance has developed a network of exceptional programs and exchanges with esteemed dance training centers in Spain, Italy and Cuba, among others. Significant among these is the relationship with Cuba’s National School of Ballet (Escuela Nacional de Cuba – ENB), which was a pioneering program and cultural exchange in 2015 between the two schools. Because of this program, ENB welcomed an American ballet dancer from the Ruth Page School of Dance to its training program. Catherine Conley, is the first American to receive an official invitation from the Cuban National Ballet School since the normalization of relations, made possible through the efforts of both governments and their desire to continue building cultural bridges between the US and Cuba. The School’s curriculum is grounded in a unique functional athleticism coupled with elements of Vaganova, Cecchetti, and RDA techniques. Essential to the curriculum and student learning is contemporary, modern, jazz, and other styles of dance as well as other related arts. The School believes that anyone can dance if they are disciplined, well trained and open to a variety of concepts. Flexibility of ideas is helpful in any profession, but especially crucial in today’s professional dance environment where choreographers often integrate various styles into their work. The Ruth Page School of Dance trains students to be ready for the ever changing and exciting world of today’s dance world. The Ruth Page School of Dance also reflects the legendary career and work of its visionary patron. Ruth Page’s classical and iconic “The Nutcracker ” displayed her grounding in ballet. But her collaborations with notable choreographers and artists for example such as Harold Kreutzberg, a cutting edge modern dance expressionist, and her jazz-influenced work at the Music Box Theater in NYC speak to her dedication to exploring all forms and styles of dance. Ruth Page’s school embodies a vision of the versatile, well-trained, and exceptional dancer. An exciting opportunity exists for members of the Young Dancer’s Training Program and the Ruth Page Civic Ballet. CDI/Concert Dance Inc is the official contemporary dance company and an Artist In-Residence of the Ruth Page Center for the Arts, and as such artists and teachers from this dance company are integrated into the School’s programming. CDI is led by Emmy Award-nominated choreographer and artistic director, Venetia Stifler, who also serves as the Executive Director for the Ruth Page Center. CDI dancers are members of the Ruth Page School faculty throughout the year, and also as guest artists in the School’s summer intensive and workshops where students have the opportunity to learn CDI repertoire. Additionally, CDI represents the Ruth Page Center for the Arts through their annual performances at the prestigious Ravinia Festival in Highland Park, and in their collaborations with Northeastern Illinois University’s dance department and student repertory dance ensemble. Qualified Ruth Page students audition to apprentice with the company.